While the EuroFox shares ancestry with the Avid Flyer and Kitfox designs, its Eastern European designers have added a number of refinements, while still offering a reasonably priced ready-to-fly LSA. Standard instrumentation includes an airspeed indicator, tachometer, and compass as well as a Rotax FlyDat digital engine monitoring system, which provides engine rpm, oil temperature, oil pressure, water temperature, and four EGT readouts, plus an hour meter. This view from the tail of the EuroFox shows the clear overhead canopy and the windows over the baggage area, which provide entry into that area and add to the visibility from the aircraft. With the throttle and flap handle both mounted in the center offering access to both pilots, the EuroFox is a good candidate for flight training. Gull-wing doors offer more elbow room in the Eurofox's 44-inch wide cockpit, and they're removable for open-air flying. The doors are equipped with gas pistons to hold them open when lifted to the full open position, a nice feature for entering and exiting the aircraft and/or putting baggage into compartment behind the seats. EuroFox has a proven wing-folding system that allows owners to trailer they aircraft home, avoiding expensive hangar fees. Repatriate means "to restore or return to the country of origin." That's exactly what's happening with the Aeropro EuroFox, an Eastern European-built light-sport aircraft (LSA) based on American design work. 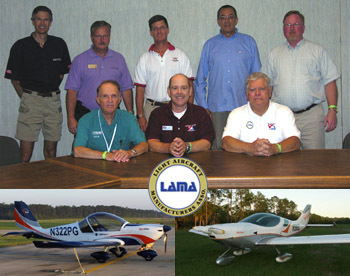 It's coming to this country as a ready-to-fly LSA through importer Rollison Light Sport Aircraft (RLSA). Just as a car made in Detroit may incorporate a considerable number of parts that were manufactured overseas, LSA can be a combination of United States- and foreign-built parts as well. That's not unusual in the aviation world. Consider that a new Boeing airplane is likely to have many parts manufactured in other countries. When Boeing competes against Airbus, it may be important to give some work to a country that may buy billions of dollars of airliners. Therefore, even a Boeing aircraft is not 100 percent made in America. 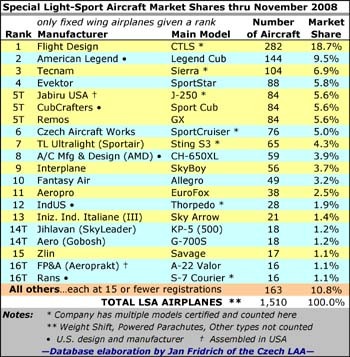 In the LSA world, aircraft manufactured in foreign countries may be delivered to the United States without instruments or other accessory equipment, or that equipment may have been built in the United States and shipped overseas for installation in the aircraft. LSA, like many products, are participants in the global economy. What Do You See? 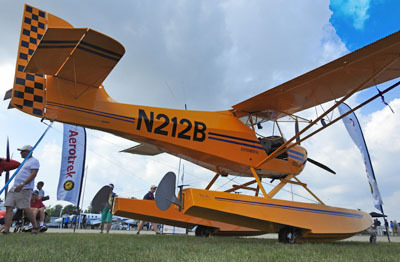 When they first see the EuroFox, many American pilots will say it's a copy of a Kitfox. That isn't accurate- it's actually a descendant of the Avid Flyer, with some European influences added by its Slovakian manufacturer, Aeropro. 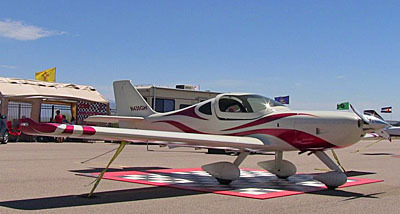 Longtime importer Rob Rollison explained that Aeropro bought Avid Flyer plans from a Canadian company and built an Avid. Given their background in aviation, the Aeropro owners saw ways to enhance the Avid design. Today, the EuroFox shares only the basic shape and planform of the original design. "However, I think Dean Wilson deserves the credit for the great tradition that was started," said Rob. Considering the differences between the still-available Kitfox and the EuroFox, they should be able to coexist peacefully. 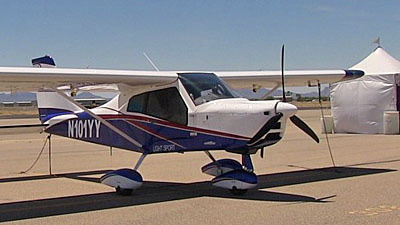 To begin with, SkyStar has not announced whether it will fully build any Kitfox model as a special LSA (S-LSA). The Idaho company can easily supply LSA kits; it's as prepared as anyone right now, yet few American companies have committed to deliver ready-to-fly airplanes. From a production and financial standpoint, that's a big step that must be carefully considered. Meanwhile, Aeropro and Rollison Light Sport Aircraft are ready to sell fully built aircraft as soon as the FAA accepts the remaining consensus standards that must be completed before S-LSA can be sold. (See "Consensus Standards" in Hotline.) RLSA has been developing a fleet of potential S-LSA from European and South American sources. Rob has represented numerous brands over the years, first American designs and more recently international ones. Today he imports the German Remos G-3, the Slovakian Aeropro EuroFox, and the Colombian Ibis GS240. Of these, the one that looks the most familiar to American pilots is the EuroFox. How the Supplier Sees It You and I look at a plane and see it from our perspective. The importer, however, does a closer evaluation to determine if the aircraft will meet the broader spectrum of customers that it's hoping to satisfy. Rob performs a thoughtful, detailed inspection of any aircraft he plans to represent, and he offers this summary of the EuroFox. "The EuroFox is a two-seat, side-byside, high-wing, tricycle-gear aircraft that features the same quick-folding wings familiar to Avid or Kitfox buyers. It takes one person only eight minutes to complete the job. The aircraft is factory-built and test-flown and delivered completely checked out and ready to fly. "A welded 4130 chromoly steel tube fuselage is mated to aluminum wings. The fuselage and wings are covered with Poly-Fiber fabric for long durability. A heavy-duty, five-point firewall engine mount braces your choice of the standard 80-hp Rotax 912 or the 100-hp 912S coupled to a three-blade composite prop with spinner. "The steerable nosewheel works with hydraulic disk toe brakes to give good ground maneuverability. A parking brake helps secure the EuroFox while stationary on a ramp. "Inside the cabin, you'll find comfortable seats with durable upholstery and four-point seat/shoulder belts plus a large luggage compartment. A cabin heater extends the flying season, while dual fresh air vents cool you off in the summertime. Clear polycarbonate gull-wing doors with gas pistons ease entry and exit, but you can also quickly remove the doors for those lovely warm flying days. Aeropro completes the interior with large skylights, door locks, and a carpeted cockpit. For dusk operations, the company even includes dual landing lights. "Controls include a vernier throttle, elevator trim, flaps, and a large instrument panel with flight and engine instrumentation including airspeed indicator, 20,000-foot precision altimeter, vertical speed indicator, compass, and slip indicator. A Rotax FlyDat digital engine monitoring system provides engine rpm, oil temperature, oil pressure, water temperature, four EGT readouts, plus an hour meter." Time to Fly the 'Fox Everyone will like the EuroFox gullwing doors with their gas pistons. The doors prop open easily, which is very accommodating, especially while loading gear into the airplane. The doors latch securely with a single, easily accessible door handle, and the doorframes bow out noticeably at the elbow, giving the feeling of more interior room. 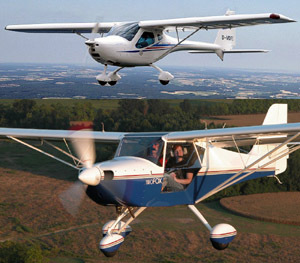 The EuroFox's cockpit measures a shade more than 44 inches wide, a significant improvement over a Cessna 150's 39-inch width. In flight with Rollison's associate, Allistair Wilson, I found the cockpit roomy and reasonably quiet even without headsets. It is not as quiet as the Remos G-3 that RLSA also sells, but the EuroFox's price tag is so much lower that you can afford the best headsets in the business. The EuroFox has effective toe brakes. You rest your foot on the main rudder arm and tilt your toes to another tube that activates hydraulic brakes. For maneuvering during taxiing, the steering has a generous range of motion such that I hardly used the differential braking. I was on turf, however; the toe brakes might be more valuable on paved ramps. 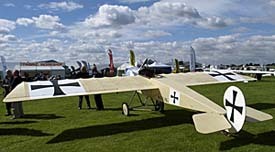 As with most LSA that use the Rotax 912 series engine, takeoff was rapid. RLSA lists 160 feet as the takeoff distance at gross weight. Landing takes a bit more at 225 feet, but both are so short that short/soft field operations are easily handled. When I first flew the EuroFox at EAA AirVenture Oshkosh from the ultralight/lightplane strip, I didn't slow down enough to set the EuroFox down comfortably. As we ate up the strip's length, I told Allistair I thought I should go around. Traffic was light on the normally busy strip, so Allistair quickly agreed. The problem isn't the EuroFox; the design has a respectable 14-to-1 glide at 60 mph. But the southeast runway in the Ultralight area requires that you make a dogleg turn to final. Because you also approach over a few trees and a roadway, I'd stayed too high and flown too fast. After that first attempt, I had quite a good landing, and we never had to use the powerful brakes. When you slow it down, using flaps and a good approach speed, the EuroFox can deliver a short landing. The best touchdowns come from fullstall landings where the nose is rather high. 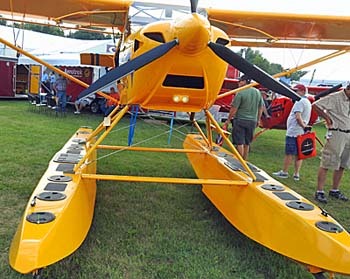 A tailskid protects the rudder from damage on such steep deck-angle landings, which are easy to do in this tri-gear aircraft. Dean Wilson's Avid design, which led to the Kitfox and derivatives like the EuroFox, all exhibit lively handing that some feel is "too light." Keeping the ball centered perfectly requires time in the EuroFox, but it is noticeably easier than the Kitfox IV I last flew. Light handling is something to which most pilots will easily adapt. And it will train new pilots well, I believe. But some ultralight pilots who are accustomed to more relaxed controls could be initially surprised by the EuroFox's quick response and rapid roll rate. Though the EuroFox will zip along at good speeds-a 110-mph cruise is easily achieved-aileron flutter should never be a concern. Small weighted tubes at the outboard section of each aileron sport mass balances to keep ailerons in line. Like all component parts of the EuroFox, they were cleanly integrated. Allistair said the factory has worked long and hard to place the full-flying ailerons in precisely the right location to make them as effective as possible while maintaining the light handling for which this design is known. I also found trim to be highly effective. As Allistair and I flew around, I noted that you could probably pitch the aircraft for an emergency landing by the use of trim only. Like many pilots who did some training in Cessnas, I prefer high-wing airplanes. But they do block your visibility in turns. Fortunately, the EuroFox's large skylight provides great upward visibility and even some aft. All turns made toward the opposite side on which you're seated will produce an enlarged view of the area ahead. All the stalls I performed in the EuroFox were mild, a great situation when this aircraft is used for flight training. Through power-off and power-on stalls plus accelerated stalls, I noted no tendency to fall on a wing and nose fall-through was muted. Except for the snappy handling that will take a few hours of acclimatization, the EuroFox seems well suited to newer pilots. Like the original Avid Flyer and those similar designs that followed, a primary sales feature is the easily folded wings. The EuroFox designers didn't overlook this popular attribute. Its wings swing back flat just like the older designs. When properly stowed, the EuroFox measures less than 8 feet wide, less than 6 feet tall, and just a shade more than 20 feet in length. 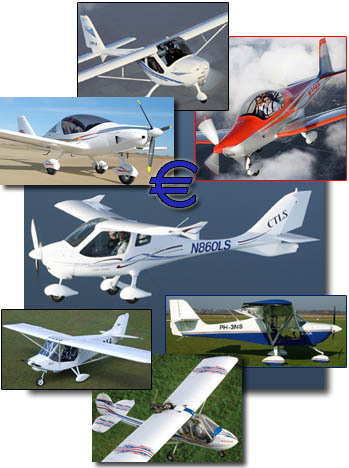 The 'Fox and the Euro Over the years, customers have asked Rollison Light Sport Aircraft if a kit was available. The question is reasonable given the great kit-selling success of both the Kitfox and Avid Flyer. Rob and the Aeropro owners discussed this and recently made a decision not to offer a kit. "The pricing isn't that much better, and most folks are interested in factorybuilt, ready-to-fly airplanes," said Rob. He added that one-third of his inquiries ask about kits, but the greater pool of potential customers prefers airplanes they don't have to build. For those who want this design shape in a kit project, SkyStar has great experience working with such craftsmen. As you compare prices of machines like the EuroFox to domestically produced airplanes, it can be challenging to compare apples with apples. The EuroFox is well equipped with an 80-hp Rotax 912 (worth about $12,000 by itself) plus a full range of instruments including ASI, sensitive altimeter, VSI, compass, slip indicator, and a digital engine monitoring instrument that can show engine rpm, oil temperature, water temperature, engine hours, and exhaust gas temperature. While you're comparing aircraft, don't forget the value of the interior finishing, especially when Aeropro's workers do it so neatly. 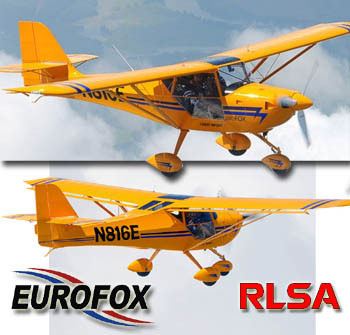 RLSA prices the factory-built EuroFox with the standard equipment described in this article plus engine and flight instrumentation for 39,950 euros, which includes delivery to their home base in Indiana. The dollar/euro exchange rate varies daily, so you'll want to check with Rob for the equivalent value in greenbacks before you order. Based on the current 1.28 rate, the base EuroFox sells for just more than $51,000. If you want to spend a bit more to personalize your EuroFox, a few options might catch your attention. The twocolor paint job as seen on RLSA's demonstrator adds $375, and dual toe brakes at each seat add $150. If you want the 100-hp Rotax 912S-which I don't believe many pilots would need-you should add $2,500. Of course, for any option installed overseas, you'll need to check with Rob, as the euro/dollar exchange rate remains volatile. One all-American item RLSA can supply is an emergency whole-airframe parachute system for LSAs that will run just more than $4,000. 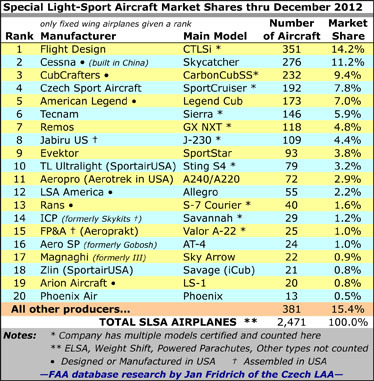 RLSA has a sister business called AirplaneGear.com that offers other goodies you might find it hard to do without. Through this related enterprise, Rob can provide headsets, GPS units, flight suits, strobe and position lights, radios, helmets (some with builtin headsets) avionics, and other items. No matter how you evaluate it, a price of about $50,000 for a readyto- fly LSA is a relative bargain. Some American suppliers have announced slightly lower prices for made-in-the- U.S.A. products, but few companies have more to offer than Aeropro's beautiful iteration of Dean Wilson's 1980s creation. Given the ease of repair-steel tubing covered by dope-and-fabric is common to American repair shops- the EuroFox is highly competitive. Notes: 1 Presently, per European regulation limitations, importer states, "The U.S. maximum gross weight will probably be 1,232 pounds." Notes: 1 Figures apply to the 100-hp Rotax 912S engine. 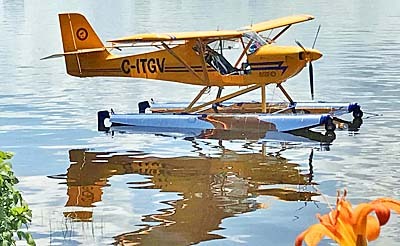 Standard Features 81-hp Rotax 912, 3-blade prop, large instrument panel with deluxe flight and engine instruments included, steerable (not castoring) nosewheel, fully enclosed cabin, quick-folding wings, dope-and-fabric wings and tail, flaperons, wheel pants, disc brakes with parking brake feature, 4-point pilot restraints, overhead skylight, carb heat control, stainless steel exhaust. Options 100-hp Rotax 912S, electric starter, avionics, ballistic parachute. Pros - Modern remake of the Avid Flyer with European finesse and refinement. Very clean execution at a relatively modest price for a fully built Light-Sport Aircraft (LSA) candidate. For those seeking something "familiar but new," EuroFox is an excellent choice. Common construction materials and proven design shape. Cons - In an age of composite LSAs, the dope-and-fabric design with older lines may seem dated to some; could affect resale. Not determined to have met ASTM standard at press time (though probably will). Available as trigear or taildragger though the latter may not appeal to all buyers on resale. Pros - A few nice features in systems: vernier throttle (very precise power setting), flaperons, in-flight trim, and hydraulic brakes with parking feature. Flap and trim levers located between the seats where reachable by either occupant. Carb heat is a nice addition, not common on ultralights and appreciated when carb ice is a concern. Cons - Some folks don't prefer flaperons as they can limit control deflections somewhat when flaps are deployed (on some designs; no problem noticed on EuroFox), and as their position is not as easily verified visually. Toe brakes on both sides are an extra cost option. Fuel quantity is by sight gauge, reliable but less convenient than gauge. Pros - Beautifully appointed interior and plush seats with 4-point pilot restraints. Even baggage area is carpeted. Doors have outward bow to increase elbowroom. Test aircraft fitted with full dual controls. Large overhead skylight helps in turn and make cabin feel larger. Reasonably quiet. Cons - A few other designs may offer more interior room and more modern appointments (though you can't fault the finish quality anywhere that I examined). Baggage area is limited to 22 pounds (under the European regulations), a bit on the low side for an aircraft of this sophistication. Pros - Good visibility forward and out all-clear door panels; overhead skylight may help check for traffic. Nosewheel steering is precise; looks like castoring but is not. Differential braking helps tight maneuvering. Large ground clearance in case of rough field landing. Brakes quite effective. Cons - Toe brakes are only available on both sides at extra cost (²$150). Trigear probably not as maneuverable in close quarters as taildragger version (applies to most trigear aircraft where taildraggers are also available for comparison). No other negatives. Pros - Takeoff is brisk behind Rotax 912S, with roll well under 200 feet. Landing roll is only longer because of the strong glide (14:1 says producer) though this reach could help in the event of a power loss. Excellent control authority for crosswind operations. All-wheel suspension helps on rough fields. Cons - Trigear was very easy; taildragger model will require additional skills (as with any taildragger). Flaperons aren't quite as effective as discreet flaps. No other negatives. Pros - Characteristic of Avid Flyer and Kitfox, the EuroFox exhibits fast, responsive handling. Dutch rolls and precise turns to headings were very easy and straightforward. Harmony and balance are quite good, at least once you've acclimated to the light handling. Cons - Some beginning pilots may find the handling a bit too light for their skill level; many (myself included) struggle to keep the ball centered until becoming more familiar with handling. In some designs, flaperons bring some loss of full control deflection range (though I never ran out of aileron authority in the EuroFox). Pros - Very dynamic performance with 100-hp Rotax 912S. Climb is quite exhilarating. Glide is also very strong, reported at 14:1, and my experience during landings reinforced this figure. 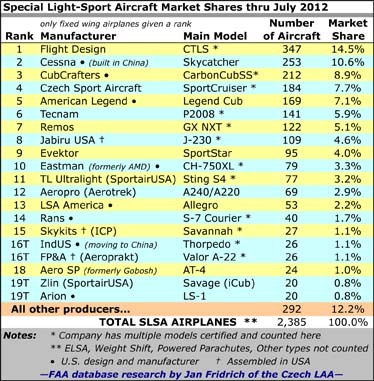 Cruise speeds place EuroFox as a high performer in the LSA segment. Good fuel economy and range, even on 14.5-gallon fuel tank. Cons - As this plane evolved it got heavier (empty well over 600 pounds), which cuts into impressive performance otherwise expected from Rotax 912. Some designs will hit the 120-knot limit of Light-Sport Aircraft; EuroFox will not with Vne set at 128 mph (111 knots). Cons - Stalls break noticeably; recovery is easy and rapid but the nose fall-through is real. Rapid handling demands some familiarization and new pilots may need to take a bit more instruction. Pros - Familiar materials and construction techniques should reassure many buyers and provide for good longevity (important when the investment becomes this dear; just under $50,000 at today's exchange rates). Rollison Light Sport Aircraft is a quality importer known for good customer service and knowledge of field. Cons - Some potential buyers may regard this as a dated design in a world full of slick composite designs; could affect resale. Regardless of what you get for the money, the EuroFox has too high a price tag for some American consumers. New brand name not known to many Americans. Repatriate means “to restore or return to the country of origin.” That’s exactly what’s happening with the Aeropro EuroFox, an Eastern European-built light-sport aircraft (LSA) based on American design work. 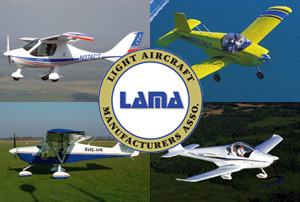 It’s coming to this country as a ready-to-fly LSA through importer Rollison Light Sport Aircraft (RLSA). Just as a car made in Detroit may incorporate a considerable number of parts that were manufactured overseas, LSA can be a combination of United States- and foreign-built parts as well. That’s not unusual in the aviation world. Consider that a new Boeing airplane is likely to have many parts manufactured in other countries. When Boeing competes against Airbus, it may be important to give some work to a country that may buy billions of dollars of airliners. Therefore, even a Boeing aircraft is not 100 percent made in America. 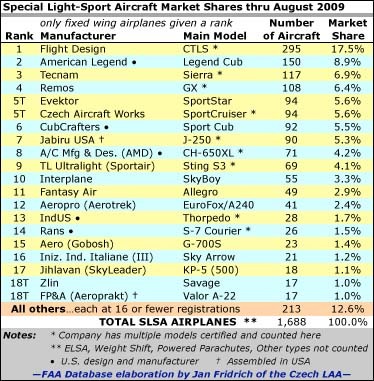 In the LSA world, aircraft manufactured in foreign countries may be delivered to the United States without instruments or other accessory equipment, or that equipment may have been built in the United States and shipped overseas for installation in the aircraft. COMFY & SECURE - The EuroFox comes with deluxe and comfortable seats complete with 4-point pilot restraints. A nicely carpeted baggage section appears aft of the seats. AMPLE PANEL - The EuroFox has a large instrument panel that will let you load it up with additional avionics. Deluxe flight and instrument gauges are provided with the basic aircraft. Speeds-to-fly and a checklist are in easy view of the occupants. SMILIN' IRISHMAN - Now living in the USA, Allistair Wilson - a highly accomplished pilot - works in association with Rob Rollison. SHAPED PROP - The lovely prop by Fiti Design helps the EuroFox stay within the very tight European noise standards, but this will also help neighbor relations among Americans. Though the nosewheel looks like a castoring system, it is fully steerable. OVERHEAD DOORS - Aeropro uses large, clear panel polycarbonate doors held up with a small piston. Note also the slight outwardly bowed shape that provides a bit more elbowroom inside. The doors can be removed for flight. PARKING BRAKE - Aeropro incorporates a parking brake feature into the hydraulic system and in characteristic style, installs this clearly labeled control lever on the floor between and in front of the seats. SLEEK AND MODERN - Though its heritage dates back to the early Avid Flyer, the EuroFox has seen many changes, among them the transition to trigear (though you can also have it in taildragger configuration). WELDED STEEL - A chromoly fuselage allows clean lines with graceful curves (note lower fuselage) and clean, crisp transitions between surfaces. Workmanship is beautiful. HYDRAULIC STOPPING - Both seats offer a toe brake system familiar to any general aviation-trained pilot. The system is hydraulic with disc brake and provides good stopping power. Note the heel skid plates that will save carpet wear and tear. 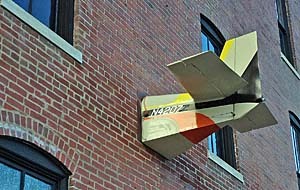 STANDARD FLAPERONS - Harking to its Avid Flyer heritage, the EuroFox uses highly effective flaperon construction. Note the mass balance extending forward of the flaperon's tip. His Rollison Light Sport Aircraft (RLSA) company has been building a fleet of aircraft for sale from European sources. Rollison has represented numerous brands over the years he's been involved in light-sport aviation. First he represented American brands and later European. Recently he's traveled to South America to see what's available. Today, Rollison sells the Remos G-3 Mirage, the Ikarus-Comco C42, and the EuroFox. He's associated with Allistair Wilson who is making his own Astra trikes. Of the fixed-wing models in RLSA's hangar, the EuroFox is the most modestly priced with the C42 next highest and the G-3 as RLSA's top-of-the-line model. More Than Familiar? Many Ultralight Flying! readers will say the EuroFox looks to be a copy of a Kitfox. In fact, says Rob Rollison, this simply isn't true. The EuroFox certainly shares heritage with the Kitfox but is actually a downstream development of the Avid Flyer. In the Slovak Republic, where the four founders of Aeropro live, plans were used to build an Avid. In the passage of time, they saw ways to enhance that design and the EuroFox today shares only the basic shape and planform of the original. Since the Kitfox also emanated from the design work of Avid designer Dean Wilson, the EuroFox is definitely not a Kitfox. If anything, it's more accurate to call this an Avid copy, but even that detracts from the work of Aeropro engineers. "I'd sort of like for Dean Wilson to be given proper credit and respect for being the originator of this very practical and popular aircraft design," Rollison says strongly. "The Kitfox, EuroFox, and other planes are descendants of his Avid Flyer, and I think Wilson and the Avid Flyer deserve the credit for any 'great tradition' that was started (and I do think that's a pretty good way to put it) instead of giving the credit to the Kitfox." Rollison wasn't involved in light-sport aviation when Dean Wilson first introduced the Avid Flyer, so he adds, "I hope I've got the story straight about Wilson and the original design, and the Avid Flyer, and all that. I wasn't at Oshkosh '83 when Wilson introduced his first plane. I wasn't involved in aviation during those first years of this aircraft development, and Dan Denney getting involved in [Avid's] business and then breaking away, but I think the information that I have about the history of all of this is pretty accurate." I was around in those days and Rob has his facts straight, from my perspective. The design clarification is worthwhile and it shows how much aviation, at all levels, shares ideas. I've long thought someone invented the first wing and after that everyone has simply made variations on the theme, improving the technology along the way. As long as the state of the art is advanced, pilots welcome all developments. 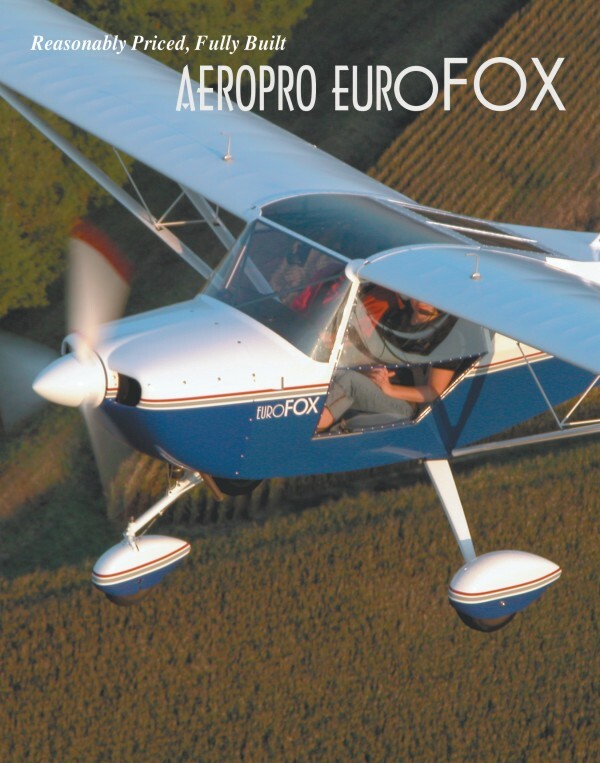 Today's EuroFox is manufactured by the Aeropro company in Slovakia and exported from the Czech Republic (the countries were once joined as Czechoslovakia). It has been in production since 1990 and, to date, a reported 143 aircraft have been produced. The EuroFox is now available in the U.S. and Canada, and offers superb workmanship with excellent performance at a very good price. As I looked over the EuroFox, I was struck by Aeropro's precision work. Most judges would agree that the Slovaks build a very tidy aircraft. All elements that can be hidden are tucked away and all components look thoughtfully assembled. In all, the EuroFox is a class act that is a credit to the craftsmen who build this reasonably priced aircraft. A glance inside the engine compartment continues to show the close attention to fine detail in the assembly of the EuroFox. For example, a stainless steel exhaust system looks beautifully tailored to the compartment. Without having to unbutton the nose cowl, pilots will see desirable features in EuroFox systems: a U.S.-made vernier throttle offering very precise power settings, flaperons, in-flight trim, and hydraulic brakes with parking feature. The flap lever is a knob forward of the trim lever; both are reachable by either occupant. Most ultralights have no carburetor heat control but Aeropro has created a special air box design that incorporates a carburetor heat system. Since most climates in the country can experience carb ice, this control may be appreciated. The EuroFox's trim was highly effective. In flight, I commented to Allistair that I could probably pitch the aircraft sufficiently for an emergency landing by the use of trim only. He agreed. Well Appointed The EuroFox doors use gas pistons to hold them open and they latch very securely with one, easily accessible door handle. On the exterior that door latch can be key locked for some additional security. The doorframes bow out noticeably at the elbow, giving you the impression of more interior room than the EuroFox actually has. Allistair's a big guy, I'm of average size, and we weren't crowded. The doors are made of a clear polycarbonate and operate gull-wing style with gas-lift struts to help keep the doors open during entry (quite important when using a swing-upwards opening). The EuroFox doors are a quick-removable type, allowing you to fly with the cockpit open. You may not always want to remove the doors, however, and when it gets cool, you can use the standard cabin heater and effective dual fresh-air vents to control cockpit temperature. I found the EuroFox to be reasonably quiet even with my headset removed. Allistair took his off, too, and we agreed we could talk quite easily. 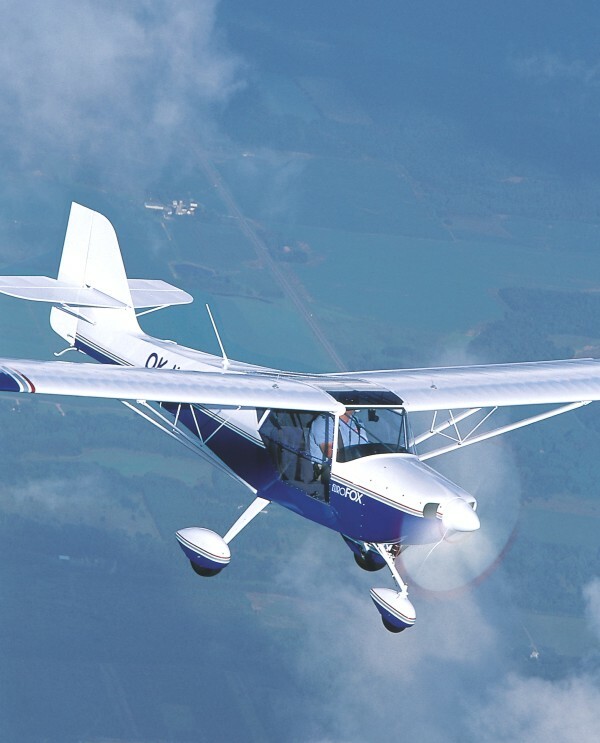 From my earliest training in a Champion Citabria and numerous Cessna 150s, I'm one who prefers high-wing airplanes, but they do block your visibility in turns. However, the EuroFox uses a large skylight area not only above the occupants, but also somewhat to the aft. When you turn opposite the side on which you're seated, you can get a great view of the turn ahead. Four-point pilot restraints help you stay in the comfortably upholstered seats. Allistair and I spent less than an hour aloft, so I didn't get a chance to see how the seats would feel on a longer flight - the EuroFox has a range of more than 400 miles - but the cushions and back rest are certainly comfortable for shorter flights. "I have flown the EuroFox back and forth to Florida for Sun 'n Fun with the flight each way being a little more than 8 hours, and I have found the EuroFox to have the most comfortable seats of any plane I have ever owned," Rollison says. Behind those beautiful seats is a luggage area, also nicely upholstered. However, this space only accommodates 22 pounds, which is a bit slight for any longer travel you may envision. However, this may be European ultralight regulation limitation (as they must contain gross weight to 992 pounds). Rollison feels the space is capable of holding more than 22 pounds of gear and that his weight-and-balance calculations after loading more baggage into the space were acceptable. On either side of the baggage area are shoulders that cover some mechanisms. In these shoulders on some airplanes Aeropro has mounted headset plug-in receptacles; the location is good in that it is easily seen and relatively convenient to reach but also located where you won't kick them inadvertently while entering the cockpit. Rollison's aircraft was not so configured but I'd want to order mine this way. Quick On the Ground Or In the Air The EuroFox has easily manipulated, quickly understood toe brakes. You rest your foot on the main rudder pedal arm and tilt your toes to another tube that activates hydraulic brakes. Despite their ease of use, we hardly needed them. At first glance the EuroFox's nosewheel appears to be the castoring type that requires braking to steer the aircraft, but this is incorrect. It's merely the far forward mounting of the nosewheel strut, which gives it a trailing link appearance common to castoring systems. However, the nosewheel is fully steerable and has a heavy-duty suspension. Dual flexible pushrods route to the rudder pedals in typically neat assembly on the plane's underside. Wheel pants are standard on all three wheels. Mounted neatly under the prop and above a small air inlet are dual landing lights, which can be used along with strobe lights to alert others in the pattern to your presence. Coming in for landing at AirVenture's ultralight strip, I had the runway to myself, which turned out to be a good thing, because I didn't slow down enough to get the EuroFox down properly. As we ate up the strip's length, I told Allistair I thought I should go around and try again. He quickly agreed. The problem isn't the EuroFox, though she does have a good glide. Rather, my approach to AirVenture's ultralight strip required that I make a dogleg turn to final. Since I also approached over a few trees and a roadway, I'd stayed too high and flown too fast. After that one trial I had quite a good landing and we never even used the adequately powerful brakes. However, this tale reveals the 14:1 glide Aeropro claims for the EuroFox and when you need more reach, it's certainly nice to have it. I prefer a full-stall landing and in trying to assure a good landing on the second try, I held the nose quite high. A tailskid protects the rudder from damage on such full-stall landings that are easy to do in this trigear aircraft. Keeping the ball centered perfectly requires time in the machine.But I found it much easier than the Kitfox IV I last flew. This design series, starting with the Avid, is known for having light-touch, fast-response handling. Some beginners may find it too quick, but Aeropro has done a credible job of taking out the twitch found in the earliest Avids and Kitfoxes. Allistair said the factory has worked long and hard to place the full-flying ailerons in precisely the right location to make them as effective as possible while maintaining the light handling for which this design shape is known. I'd say they did their job well and this speaks highly of the engineering and test-flying capabilities of the Slovak manufacturer. Small tubes at the outboard section of the ailerons are mass balances to assure no flutter will start. Like all fittings on the EuroFox they were cleanly integrated. Always a Performer Besides the handling for which Avids and Kitfoxes are known, performance is a strong suit of this design shape. While Aeropro made changes over the years, my guess is they left the airfoil shape as they found it on those early plans. A strong EuroFox attribute is the factory-stated glide ratio of 14:1 at 60 mph. For comparison a Cessna 150 can achieve about 10:1 and even this figure is higher than lots of ultralight designs. The Slovak version can cruise at 110 mph where the Rotax 912 engine is running at 75% power. If you select the Rotax 912S engine, you can expect to see this cruise speed at 60% power, says Rollison. Never exceed speed is set at 128 mph, a few digits below what is allowed under FAA's new Light-Sport Aircraft rule (138 mph permitted). Climb rate with the 100-hp Rotax 912S engine is 980 fpm, and it's my bet that the 81-horse Rotax 912 would perform reasonably close to this. All that power makes takeoff roll, even at gross weight, a mere 160 feet. Many lighter ultralights can do no better. An empty EuroFox is hardly a lightweight at 636 pounds. This may be competitive among all Light-Sport Aircraft candidates, but it's quite a bit higher than standard among American ultralights. The company still lists maximum gross weight at 1,232 pounds, the figure originally chosen for LSAs (now at 1,320 pounds), but I'd expect that the weight might increase as aircraft in this family of designs have used higher gross weight limits for years. Given the EuroFox's fuel capacity of 14.8 gallons and a burn rate of about 4 gph, the design can range 435 miles from home. Measured in time, the EuroFox lists 5 hours of endurance. Our test plane used a shapely prop from Fiti Designs that no doubt plays a role in keeping the noise output within Europe's tight noise standards. Other props have also been used by Aeropro so discuss your desires with Rollison. My stalls in the EuroFox were all quite benign. In power-off and power-on stalls, plus accelerated stalls, I noted no tendency to fall on a wing and nose break-through was relatively unexciting. Though handling may require more attention from beginners, the EuroFox seems well suited to newer pilots in its stall behavior. Stall speed appeared to be 40 mph with flaps down. I did not check clean stall speeds but suspect the design will have no challenges staying within the new requirement of 45 knots or 52 mph. Fox Hunt No replication of an Avid or Kitfox would be complete unless the wings folded. The EuroFox didn't miss the importance of this popular feature and its wings swing back flat and easy, just like the two American designs. 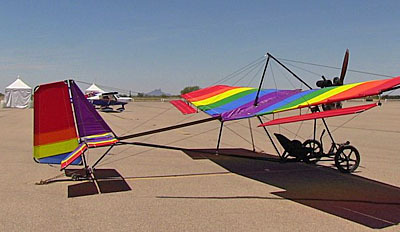 According to Rollison, one man can do the wing-fold operation in less than 10 minutes, though this may not include properly securing the wings for flight or trailer transport. The EuroFox with wings folded measures 7 feet, 10 inches wide by 5 feet, 10 inches tall, and 18 feet, 10 inches long, therefore trailer transport is a clear possibility. You may be able to store the bird in a garage stall. 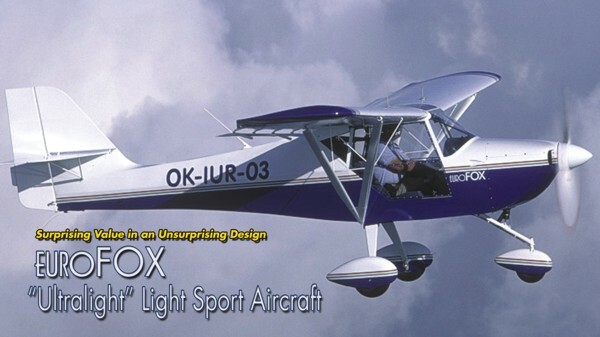 As with many other Light-Sport Aircraft candidates from overseas, the EuroFox is factory-built and test-flown, and delivered completely checked out and ready to fly. This means that when you are comparing prices to some of our American brands, you need to remember that most American companies sell kits and they often price them without all essential equipment, for example, the engine. At approximately $48,500 with the 80-hp Rotax 912, the EuroFox actually represents a reasonable value, however,these prices are figured based on its price in euros (39,950) and currency fluctuations may change the price in dollars. You'll want to call Rollison Light Sport Aircraft for the latest details and pricing. The above price includes U.S. delivery (FOB Indiana). The EuroFox is also priced to include complete flight and engine instrumentation including: airspeed indicator, 0-20,000 feet precision altimeter, vertical speed indicator, compass, slip indicator, and FlyDat digital engine monitoring system, which provides for engine rpm, oil temperature, oil pressure, water temperature, an hourmeter, and four EGTs - one for each exhaust pipe exiting the four cylinders. Our test plane had a few options in which you might be interested. One was the striking paint job that colored the underside a deep blue with the white upper. A similar two-color paint job will add about $375 (though all prices start in euros and, given currency fluctuation on a daily basis, you'll want to check with Rollison Light Sport Aircraft before calculating the total price of your new EuroFox). The dual toe brake setup is worthy if you fly with another pilot or want to do instruction in the EuroFox. For them you need to add about $150. If you want the larger 100-hp Rotax 912S - not that you need the extra power - you must add about $2,500 at the same euro/dollar conversion. A U.S.-made Whelen strobe light system will cost $850 but the dual landing lights in the nose are now standard and they'll help tell other pilots of your arrival in the traffic pattern. You may also wish to add a parachute system, however, the price of the Light-Sport Aircraft system needs to be checked with Rollison before deciding on this equipment. Given the EuroFox's very tidy assembly work and a knowledgeable American importer, you can hardly go wrong with a EuroFox purchase. His Rollison Light Sport Aircraft (RLSA) company has been building a fleet of aircraft for sale from European sources. Rollison has represented numerous brands over the years he’s been involved in light-sport aviation. First he represented American brands and later European. Recently he’s traveled to South America to see what’s available. Today, Rollison sells the Remos G-3 Mirage, the Ikarus-Comco C42, and the EuroFox. He’s associated with Allistair Wilson who is making his own Astra trikes. Of the fixed-wing models in RLSA’s hangar, the EuroFox is the most modestly priced with the C42 next highest and the G-3 as RLSA’s top-of-the-line model. More Than Familiar? Many Ultralight Flying! 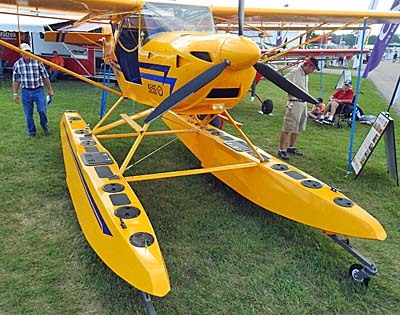 readers will say the EuroFox looks to be a copy of a Kitfox. In fact, says Rob Rollison, this simply isn’t true. The EuroFox certainly shares heritage with the Kitfox but is actually a downstream development of the Avid Flyer. In the Slovak Republic, where the four founders of Aeropro live, plans were used to build an Avid.